‘God Himself never did any miracle, but it was always through humans’, I had written in my earlier blogpost ‘Randomness of Life.’ We must thank the God Almighty for the efforts of the rescue team, but should never forget to thank all those members of the rescue team, who untiringly executed the dangerous rescue operation. First, let us bow our heads and say a few prayers for Kunont, also known as Gunan or Kunan, who laid down his life, without caring for his personal safety. He was part of the North Face Adventure Team, one of Thailand’s top trail runners and a former Navy Seal diver. Kunont made his way through a submerged cave to bring oxygen. He then ran out of oxygen on his way back to the entrance, highlighting how hard it would be to rescue the boys untrained in diving. On his way back he lost consciousness and his friend tried to help bring him out. 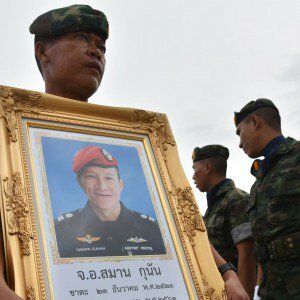 Kunont, in a soldierly way, did the supreme sacrifice in trying to save others. Dr Richard Harris, 53, an anesthesiologist from Adelaide, works for the South Australian Ambulance Services. He is an expert in cave-diving. He joined the rescue team on the request of British officials. Risking his own life, Harris made the treacherous trip into the subterranean chamber to check on the boys after they had been trapped for more than two weeks. After examining them, Harris recommended that the weakest of the boys be rescued before their stronger teammates — against the earlier opinion of saving the strongest first. Ekapol Chantawong, affectionately known as “Ake,” is the assistant coach of the football team. Ekapol had already cheated death; when he was just 10 years old. His parents and brother were killed by a disease that ravaged his village, only sparing him. He lived with extended family members for a short time after his family’s deaths, but felt sad and lonely. This lead him to be a Buddhist Monk. Ake would be there at the field waiting for kids to show up after school. According to him, it is a great way to keep the children healthy, away from modern gizmos and other diversions and also to interact with friends. The members of the Wild Boars are a team on and off the soccer field, traveling to competitions, cycling mountain roads and swimming in waterfalls together. 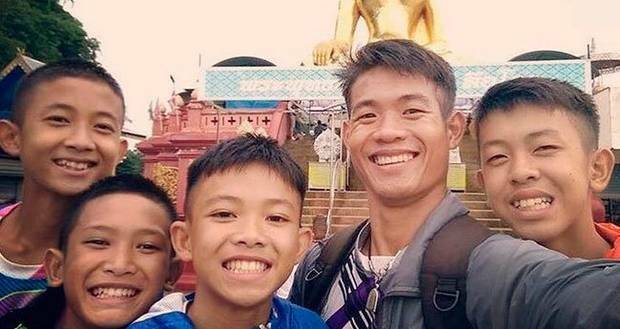 The team entered the cave complex to celebrate the birthday of Peerapat Sompiangjai, nicknamed Night, turned 17 on 23 June, the day the team went missing. Before they were found, the group had to survive for nine days in the darkness unaware of the desperate search efforts. How did this team survive through the ordeal? Food. The team had bought snacks to celebrate Night’s birthday, and it was these snacks that helped sustain them after getting trapped in the caves. Ake reportedly refused to eat any food so the boys would have more for themselves, leaving him the weakest when divers eventually found the team on 2 July. What a great leader! Water. Humans can survive for many months without food, but water is an absolute necessity. As it was monsoon season, the cave had adequate water and they chose clean water to drink, Water dripping from the cave ceiling would have really helped. Hypothermia. It is a medical emergency that occurs when your body loses heat faster than it can produce. It can often be a risk underground, especially in flooded caves. The team used rocks to dig five metres deeper into the cave to create a tunnel so that they could keep warm. Disorientation. 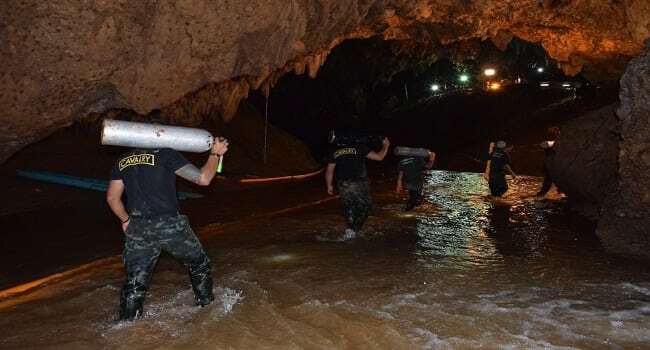 The team had to handle the total darkness of the cave, without any awareness of time or of the massive search efforts to find them. Meditation training by Ake helped the team withstand disorientation. Stress. The efforts of Ake must have been instrumental in keeping them calm. Meditation would have helped them handle the stress. When the rescuers managed to get through to the team, they delivered letters from their families and took notes back to allow them communication with the outside world. In his letter, Ake apologised to the parents for taking the boys into the cave network, but several replied to say they did not blame him. “I promise I will take care of the kids as best as I can,” he wrote. Planning and Coordination of Rescue Efforts. Coordination between various Thai agencies and also international agencies ensured speedy rescue. A mission which was expected to take a few weeks was executed in few days. Leadership of the Coach Ake. Exemplary leadership demonstrated by the coach of Wild Boars football team in ensuring survival of the entire team. Surely, he must be well trained in First-Aid, CPR, survival skills, child psychology, etc. Our son works as a Swimming Instructor and Life Guard in Canada and he is well trained in these aspects. Team-Work. The entire team of teens must have listened to their coach – else they would not have survived through this ordeal. Trust in the Leader. The coach must be enjoying a lot of trust and confidence of the team of teens for sure. Dedication of the Rescue Team. Despite losing a rescue diver, Saman Kunan, the rescue team endured to complete the dangerous mission. Composition of Rescue Team. 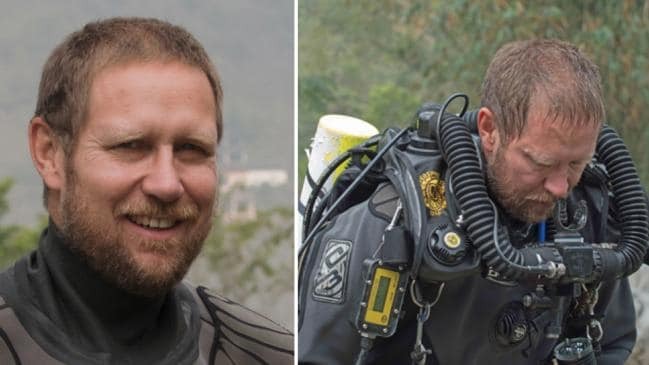 A doctor with cave-diving experience first went into the chamber and approved the boys for the operation. No VIPs. The VIPs kept away from the scene, thus all resources like helicopters, road-space, etc were available to the rescue team. Crowd Management. Local population appear to have cooperated with the authorities and there was no crowding – especially those with their cellphones – all ready to post images on the social media. 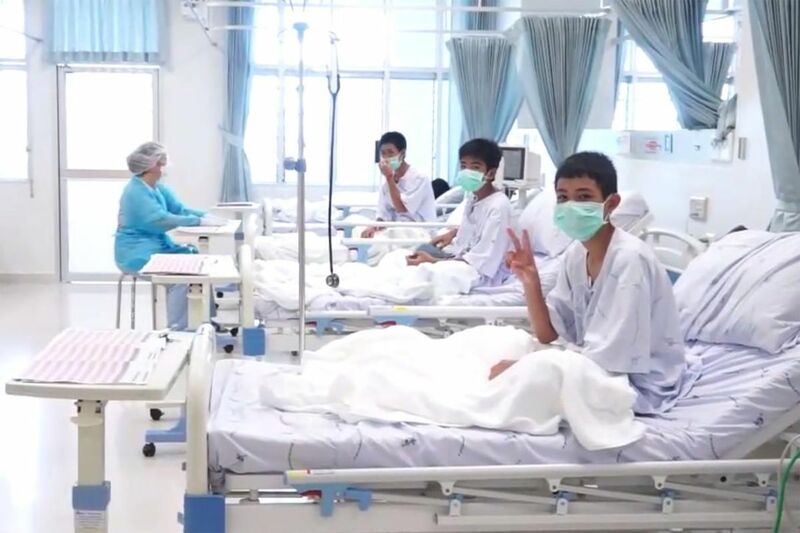 Quarantining of the Team.. Thai health officials said that some of the first boys freed had elevated white-blood cell levels, indicating infections, and two showed signs of pneumonia but were responding well to treatment. They are expected to be quarantined in hospital for at least seven days. Post Trauma Support. A psychiatrist is evaluating the rescued team and would provide needed counseling and psychological support. Kudos to all those involved in this rescue mission and Rest In Peace Saman Kunan, – you have achieved Great Glory – true to the spirit of a soldier. Very well explained Col Reji. Appreciate your selection of the topic. Keep it up!! Well done Reji. As always in fact. Concise and clearly explained. One wonders how they entered in the first place, and what route was followed in.